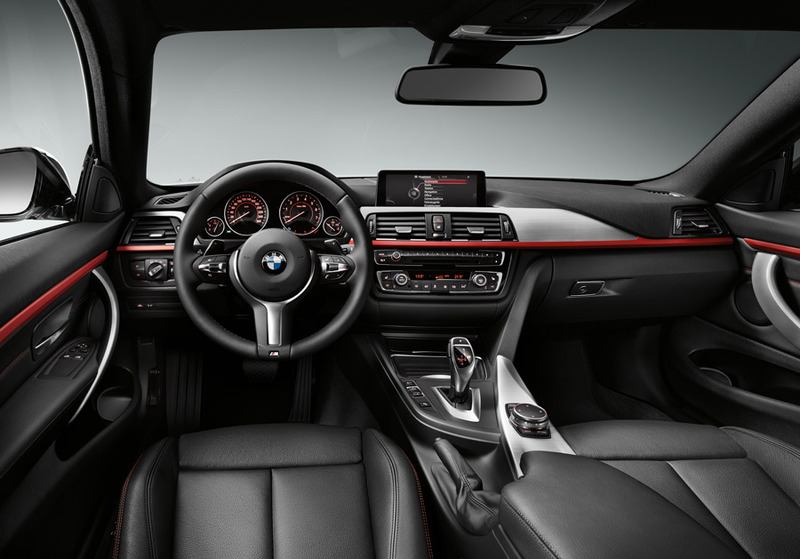 Introduced last year for the 2014 model year, BMW’s F32 series replaces the E92 platform, otherwise known as the 3-Series coupe and convertible. The 3-Series from now on will remain exclusively as a 4-door line, meaning this new generation of two-door BMWs is called the 4-Series. As the name implies, the 4 offers more than the 3 it takes over from and is not just a mere update. 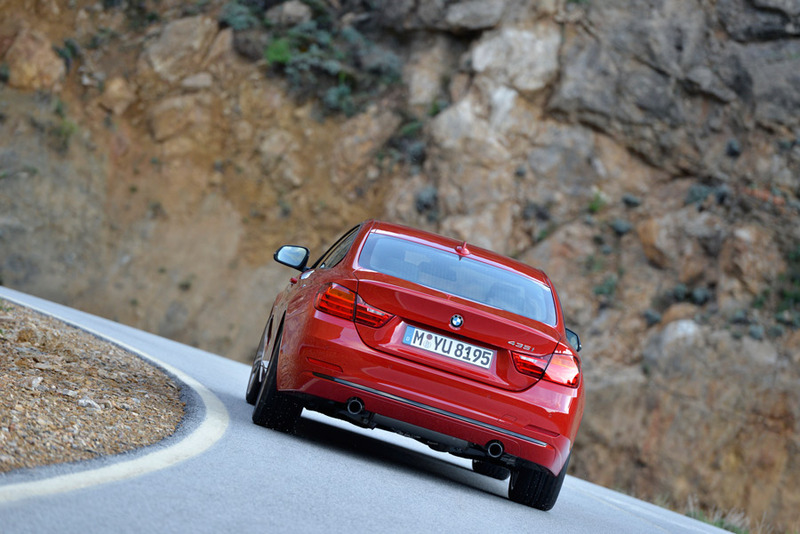 The 4-Series is lower, wider, longer and more spacious than the outgoing car but manages not to gain any weight. It is also stiffer and achieves a perfect 50:50 weight distribution. 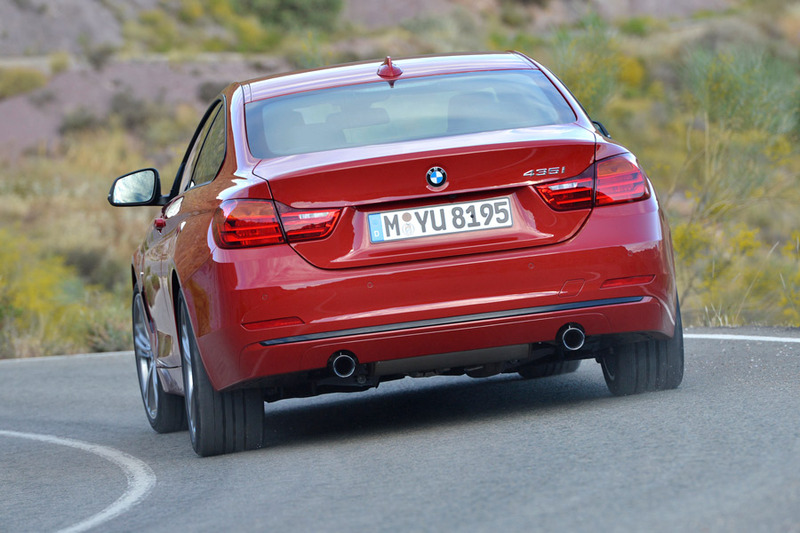 The 3-Series has always been a widely admired car, but now it seems that BMW has taken another big step forward. In the US market, we so far get the choice of the four-cylinder turbo 428i or the straight-six turbo 435i, while the Europeans get a 420i and a few diesel options. Other than the recently released M4, the hottest of the range is the 435i, and we were lucky enough to have our test car loaded with the M Sport, Dynamic Handling, Lighting and Premium Packages. 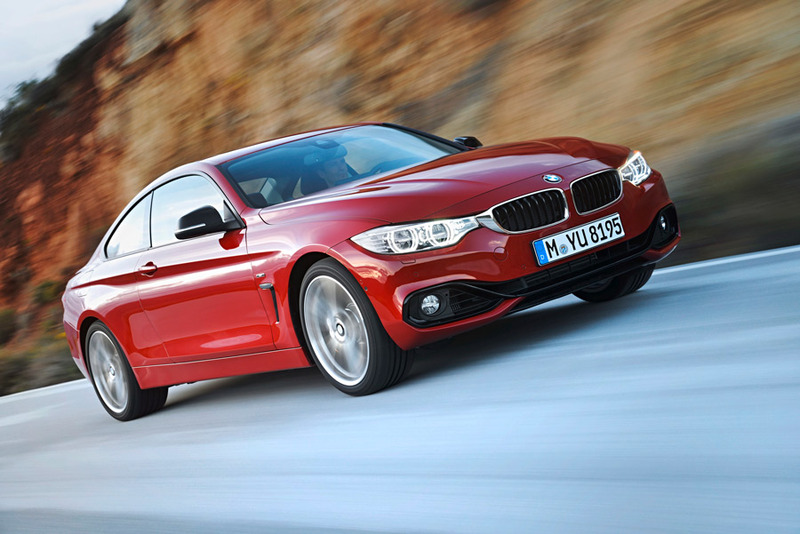 Most important for our purposes are of course the M Sport and Dynamic Handling Packages. Checking the M Sport box gets 18″ M alloy wheels, larger air inlets in the front apron, a rear apron with a diffuser insert, M Sport brakes and stiffer springs, damper and anti-roll bars. On the inside, you get sports seats with “M” script, while there are other such reminders on places like the sill cover strips and steering wheel. The $1,000 Dynamic Handling Package, meanwhile, also includes the M suspension as well as variable steering, which is a variable ratio system that allows for more precise and agile input in higher speed situations and for easier movement in slower speed situations like parking. Finally, the Premium Package includes satellite radio, keyless entry and keyless start, while the Lighting Package includes adaptive LED lights and automatic high beams. In designing this car, BMW was able to lower the center of gravity by nearly an inch, apparently to below 500 millimeters, giving it the lowest canter of gravity of any in BMW’s current lineup. Combine that with the balance, the performance-oriented suspension, the 300 horsepower and identical amount of torque from the turbocharged six, and this is one quick car. It feels quick, too. 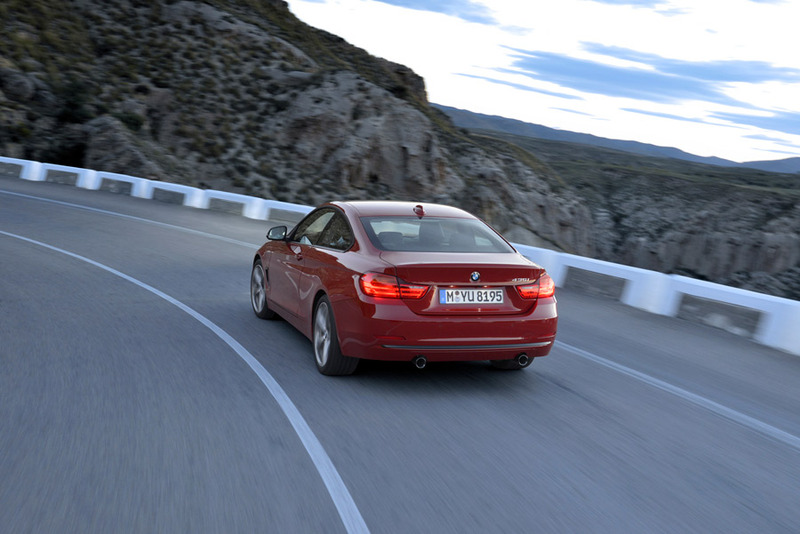 Our test car had the eight-speed automatic, but a six-speed manual is also available. The manual would obviously be more engaging, but the auto’s manual shifting option in Sport Mode allows you to fire off very rapid upshifts and really get after it. In terms of outright speed in a straight line, it doesn’t feel too different from our old E92 M3, and the sound is just as pleasantly throaty as you would expect from a quick Bimmer. 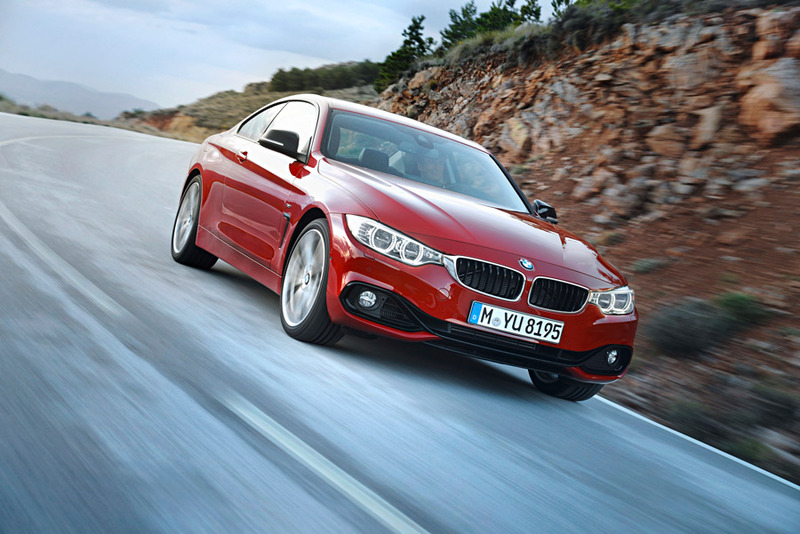 The handling of the 2014 BMW 435i Coupe is as good as you’d expect as well. It’s stiff, solid and forgiving. There are four driving modes to choose from. Comfort is the default setting and provides the neutral, comfy driving experience of the typical luxury sedan. Eco Pro dials everything down, whether you like it or not, for the sake of fuel economy. 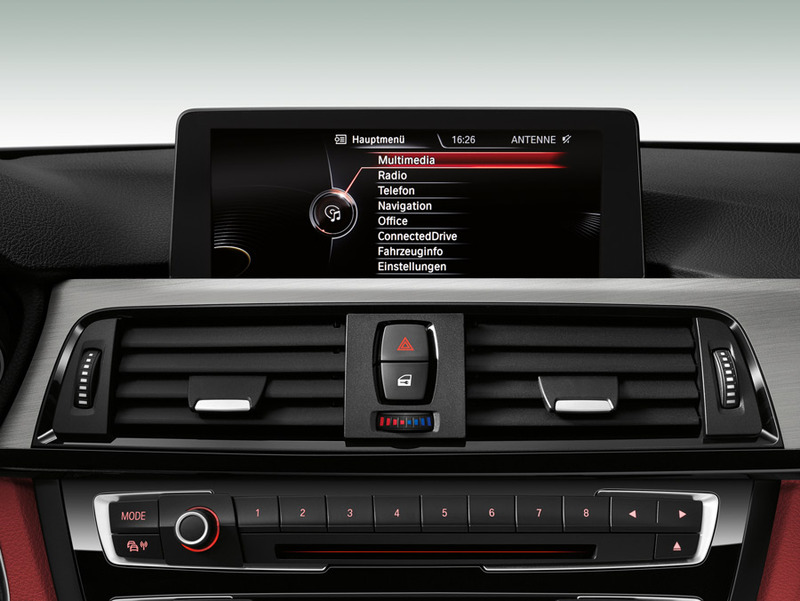 The Sport and Sport+ modes, meanwhile, stiffens everything up and dials back the traction control, respectively. When the temptation to be foolish hits, getting the back end loose is both easy to do and easy to control in Sport+. The limits of the M-Sport equipped 4-Series, though, border on the dangerously high, and it’s difficult to drive too hard before getting into trouble. It has tons of performance on offer, but it’s one of those cars with which you have to be careful when redeeming that performance. With the big change in nomenclature from something as old as the 3-Series BMW, it was naturally a bit of a shock to the system when the 4-Series came out. It’s an easy thing to get used to, though, as it continues a tradition of taking something great and making it even better. This 4-Series is nothing unfamiliar or revolutionary, just a little bit newer and quite a bit better, and in a couple of years we’ll forget we were ever confused by the whole 3 versus 4 thing. This 435i with the M Sport package is one of the more tempting sports coupes on the market today. It’s better looking than the comparable Mercedes, feels more engaging to drive than a front-drive or all-wheel drive Audi, and has a surprisingly huge trunk. The one problem with it is that it’s way more expensive than a base 4-Series, and the MSRP for the more desirable M4 is only seven grand more than our loaded test car. That said, it’s an ideal driver for anyone who wants a sports coupe that’s fun and fast, comfortable and capable, and of course easy on the eyes. For more information, visit bmwusa.com. In 2008, seeing the need for an online sports car journal, Jamie created Sports Car Digest. In the years since its launch, Sports Car Digest has become one of the internet’s most trusted source of accurate and up to date information and enjoys a large online community whose members represent some of the most knowledgeable and accomplished people in the industry. Jamie is a member of the International Motor Press Association, Jaguar Club of America, Lotus Limited, Alfa Romeo Owner’s Club, Porsche Club of America, BMW Car Club of America and Iso & Bizzarrini Owner’s Club. Over the years, several European and American classics have called Jamie’s garage their home. He currently owns a Porsche 356 Pre-A Coupe, Jaguar E-Type Series 1 4.2 Roadster, Lotus Elan S3 Coupe, BMW 2002 Tii, Mini Cooper S and a BMW E90 M3 Sedan. Outside of cars, he enjoys fishing, golfing and time with family.